I had a request from one of my friends to make Poisson en papillote aka fish cooked in a parchment paper. It’s been ages since I’ve cooked fish using this method and I’ve never made this type of dish for Lisa so I thought it would be fun to revive this healthy and delicious style of cooking in our home. Looking at the fish I had on hand I decided on Caribbean Red Snapper. 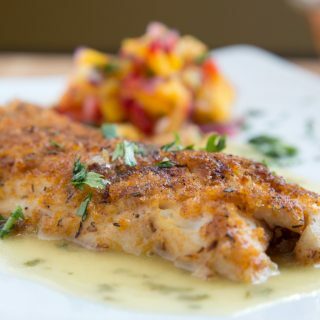 You can use other types of firm, fleshy light fish for this dish such as mahi-mahi, grouper and salmon. Flounder and tilapia would work but they’re so fragile I would recommend lightly stuffing the fillets and rolling them to cook using this method. You can also cook a whole fish using this method. 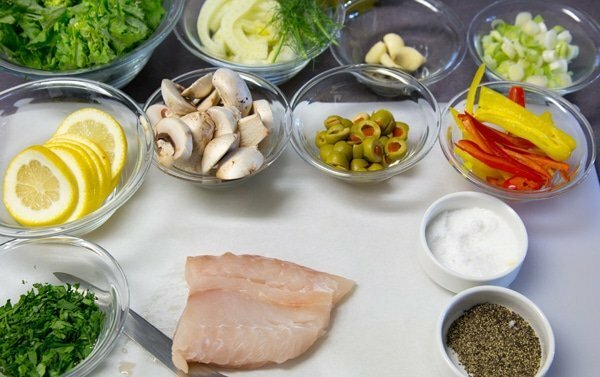 Let’s start out by gathering the mise en place for this dish. 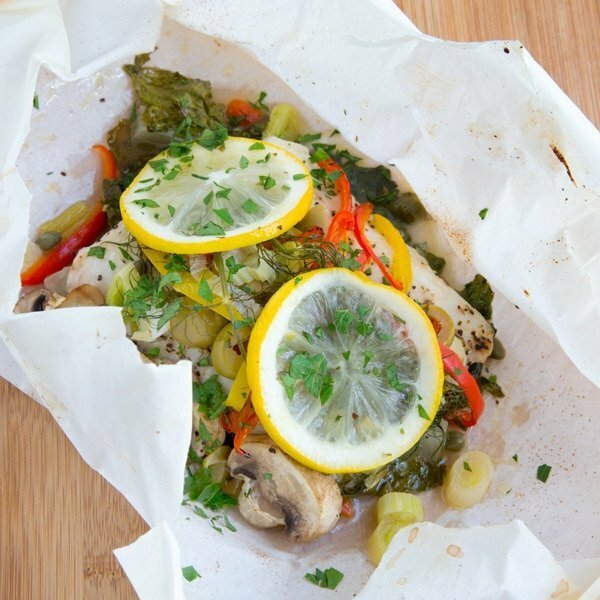 Think of your parchment paper as a blank canvas when building your Poisson en Papillote. There are so many different ingredients and fresh herbs you can use to make each dish unique every time you serve it. 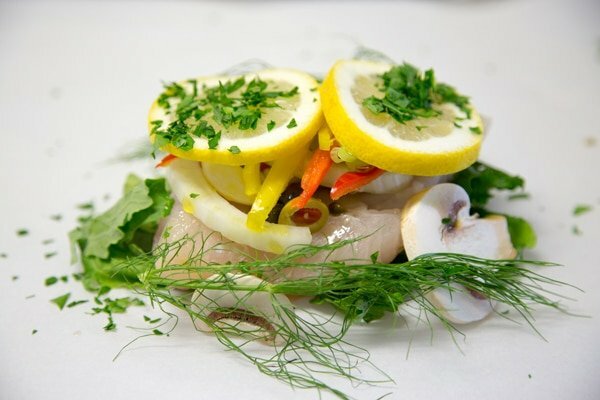 Of course, you’ll have your favorite flavors and that’s what I used for my Red Snapper en Papillote. I suggest following a few simple guidelines when painting your canvas (parchment) with flavors by layering the ingredients. The first layer should be something stack-able. This will provide height and a little space for the steam to circulate throughout the dish. Try using napa cabbage, bok choy, bitter greens, lemongrass, mushrooms, fennel or other similar ingredients. You could also use rice, your favorite grain or couscous, just remember to have them almost completely cooked not raw. The second layer is the fish. I like to season the fish well at this point starting with a little olive oil then a good amount of sea salt and black pepper. You could add any flavor of spice at this time as well. The third layer should be aromatic ingredients and something for color. aromatics could include- garlic, olives, capers, ginger, scallions, shallots, fresh herbs or any ingredients you like that will hit you with a delightful fragrance when you crack open the parchment. They also add great flavors to the dish. something for color can be as easy as grape tomatoes, peppers, colored cauliflower, asparagus, and even fresh corn kernels. My final layer is citrus slices. 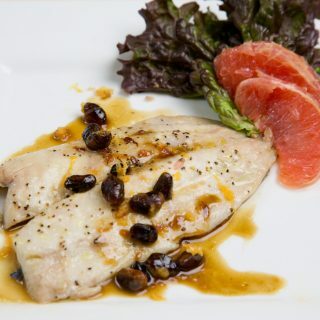 You can also place the citrus under the fish and use another topping for the grand presentation of your dish. Then it’s time to fold your parchment closed. It’s better to place the fennel and sliced mushrooms on top of the broccoli rabe and under the snapper. Don’t add the fresh chopped parsley to the dish inside the packet, it will turn an ugly shade of green. Add to the experience and allow your guest to add it on top of the lemon after the open the packet. All in all, this was a delicious dish and very healthy. Remember to think of this as a blank canvas and have fun with different ingredients. 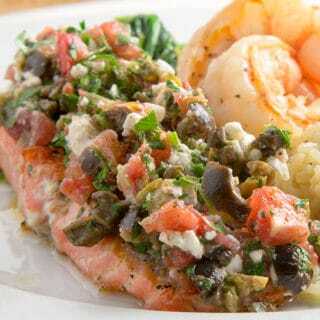 If you like my Red Sanpper recipe you might also like these delicious fish dishes. 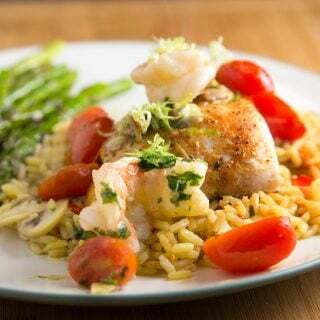 place sliced fennel on top of the broccoli rabe, then place the red snapper fillet on top of both. This will give you some room under the fish for the steam to circulate. Fold over the parchment and begin by folding in the edge closest to you in small folds at least two times. Make creases in the folds to help them stay closed. Start closing in the ends by folding as you would a present with two triangular folds going into the packet and then begin folding in small folds in until you get close to the fish. Repeat this process on the other side. Do not pierce the parchment, you do not want the steam to vent! 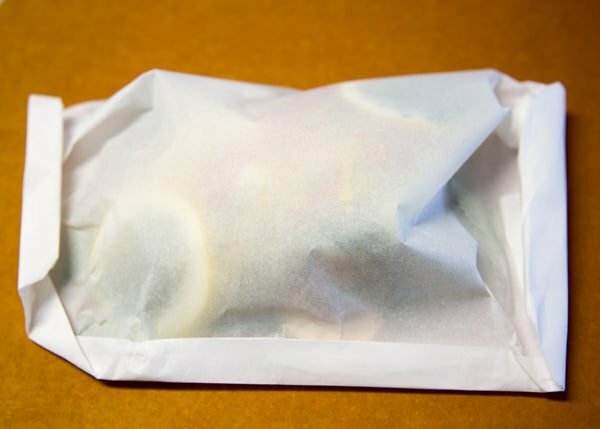 Place the packets on a cookie sheet and place into the preheated oven for approximately 15 minutes. The fish will cook quickly and the time will depend upon the thickness of the fish you use. Serve the packet on top of the plate and allow your guest to open it and take in the lovely fragrances. Let them add a sprinkle of chopped parsley so they can fully enjoy the dish, explaining how people eat with their eyes and the garnish adds to the experience. Serve with your favorite sides. *Just a quick note do not use aluminum foil, wax paper or brown paper they are not the best materials for this type of dish. You can find parchment paper in the same area in your supermarket that has the foil and plastic wrap. Made this for supper for first time and will become a staple at my dinner party table – I used Asian inspired flavours garlic ginger coriander mild chilli so as not to detract from fish on top of bok choy and red collard. My man is really a meat guy but he loved it we both did. Will definitely try with different flavour mixes. Folding was like wrapping a gift so not complex at all. Thanks chef Dennis for all the handy hints too. Useful info. Thanks for the great review Jane! 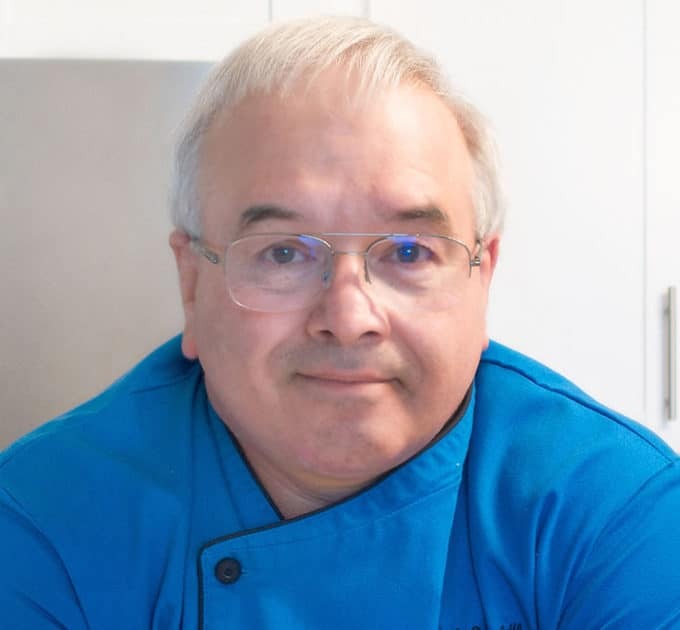 I’m really happy to hear you experimented with the flavors, now you can have fun experimenting with different types of fish and seasonings! Hi, I absolutely love snapper! I’m curious to try though. I will have to try this out. This receipt will add more diverse to my daily meal. Thank you. This looks like it would taste so amazing. I absolutely love snapper! You have me intrigued to try this again sometime. I’ve cooked fish packet recipes once or twice for my family, but they’ve always thought it all tastes too bland/ Maybe with your tips I’ll do better! I will have to try this out, with the added issue of making sure to put those mushrooms on the bottom. I know I have seen people cooking fish in parchment paper. I just haven’t done it myself. I’m curious to try though. I live near the sea. This receipt will add more diverse to my daily meal. Thank you! I usually struggle with cooking seafood. You recipe gives me hope, lol. It does not look intimidating with fancy ingredients I have never hear of, the ingredients are easy and the dish looks delicious. Wow this looks amazing. 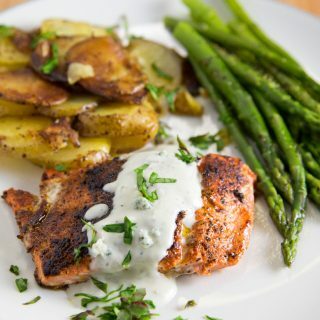 I don’t eat enough white fish so I will have to try this! Love all of the seasoning you used as well. I love that you wrote out how to stack it in the paper that’s always something I’ve thought about but never done. This sounds delicious and you gave so many options! I’ve been trying to expand on my very few fish recipes and this sounds delicious! I’ve used aluminum foil to cook in but never parchment paper. Cooked red snapper today based on this recipe. Was fabulous! Used maldon salt, scallions, roasted garlic, capers, lemon slices, and Hawaiian salt called Hot Lava. The cook time of 15 minutes was perfect. Have now marked your site as a favorite. Thank so much for the great review Liz and I’m glad you changed things up to make the recipe your own. It does sound delicious! Hey Dennis! Thank you very much for sharing such a delicious recipe. The video was very helpful and I can’t wait to try it out! I hope you enjoy using the recipe Mary Frances, thanks so much for stopping by! You’re absolutely right I was never a big fan of fish. When I lost 45 pounds last April I started eating a lot more fish, and guess what? I started to really enjoy the flavors! Sorry if I’ve been overloading the fish, but I will be working with some Wild Boar and Bison in the upcoming months. 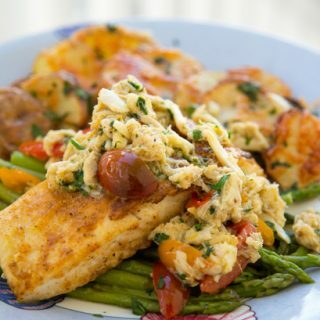 not overloading for me – I’m always looking for more ways to prepare fish – I’m a lover. Thanks Kim and happy to hear you liked my recipe ideas!